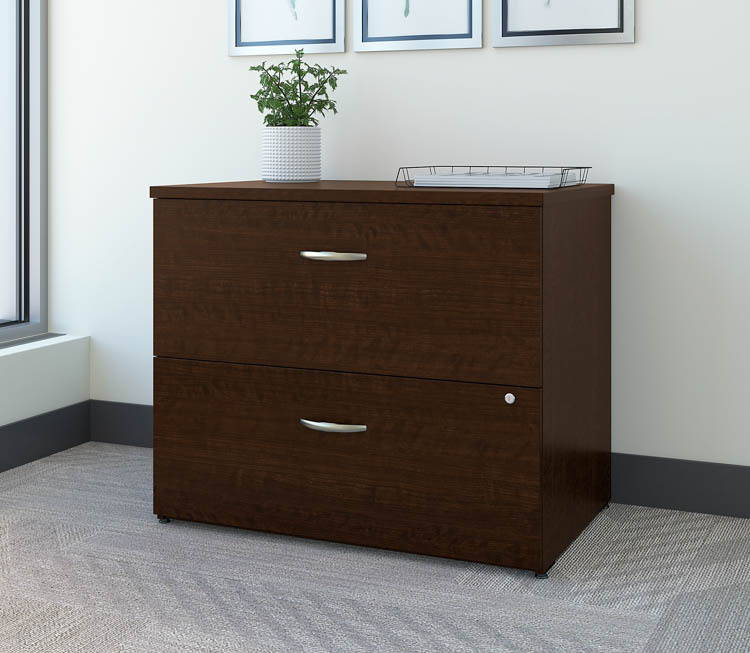 Organize your workspace with the stylish and reliable Bush Business Furniture Easy Office Lateral File Cabinet. 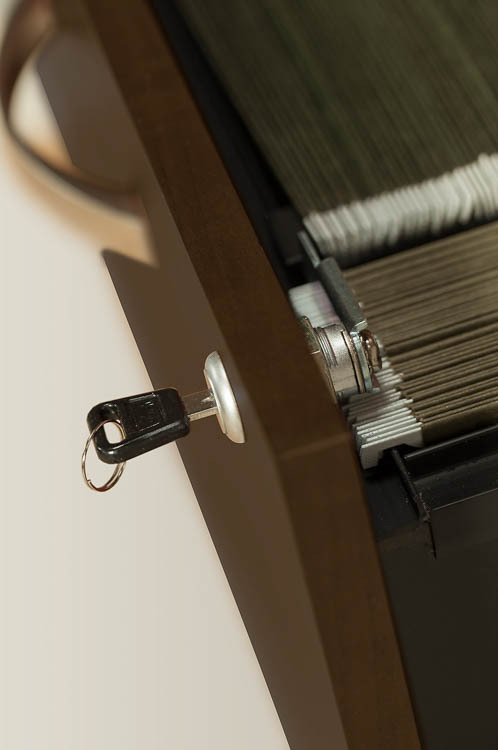 Store your letter, legal and A4 documents in 2 generous drawers gliding on smooth full-extension ball bearing slides for an effortless reach to the back. 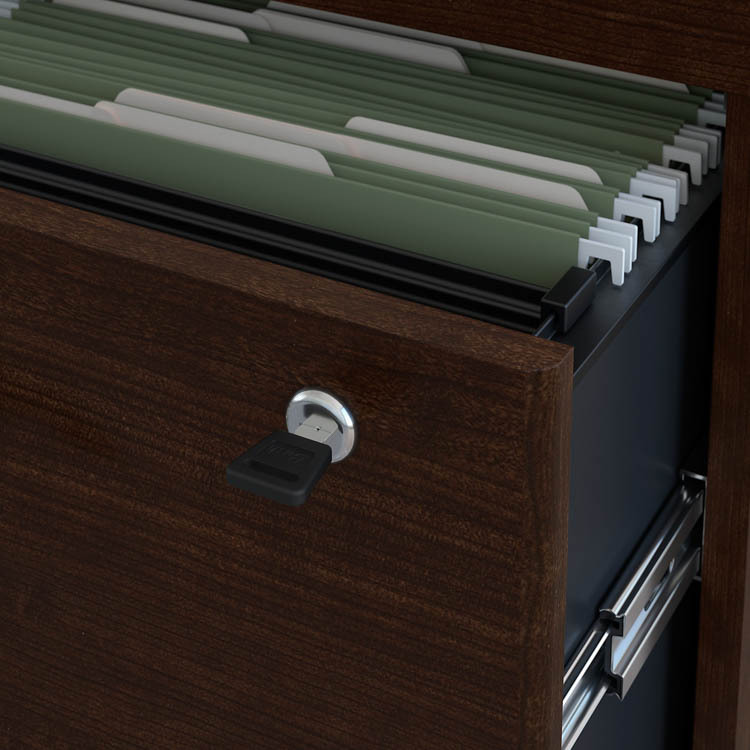 Both drawers accept hanging folders to help you design an orderly filing system. 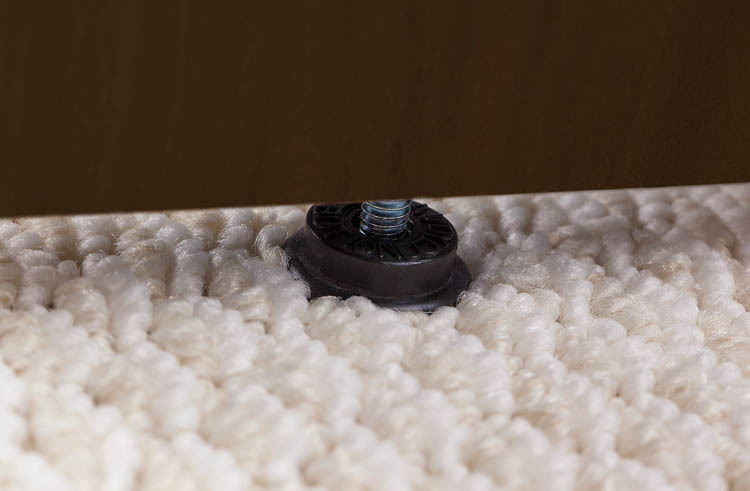 Adjustable levelers compensate for uneven flooring, while an interlocking drawer mechanism prevents against tipping. Brushed Nickel hardware and clean lines make an impressive statement, as the sturdy design fends off damage for years of professional quality. 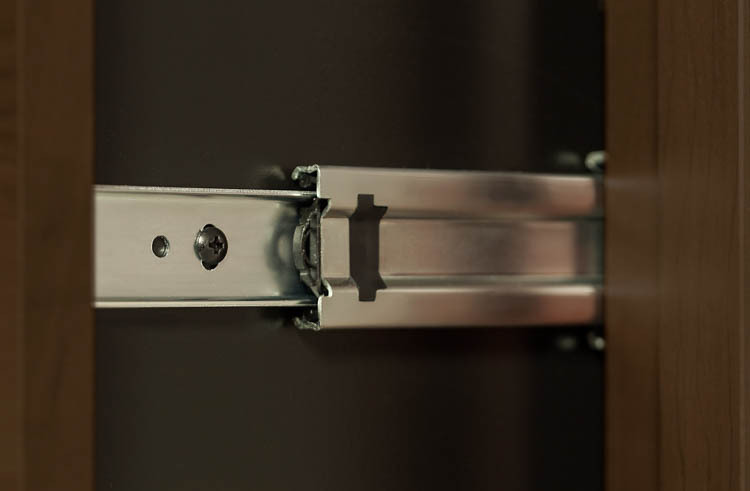 A face-front lock secures both drawers for your privacy. 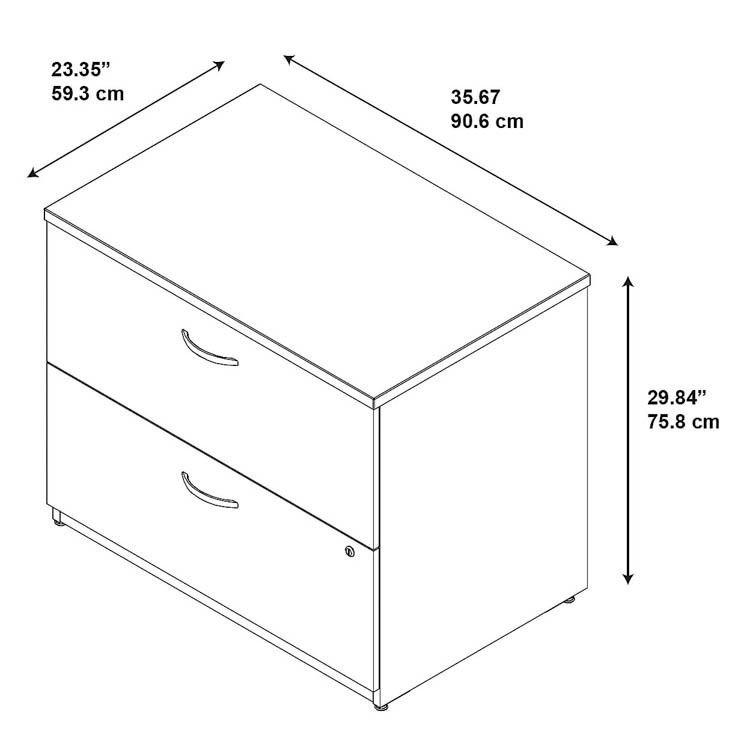 Designed to match Easy Office products, the 2 drawer Cabinet meets ANSI/BIMFA quality standards. See the full collection to complete your office.